TEXAS: Cruz Lead Shrinks To Five Points In New Poll - Joe.My.God. 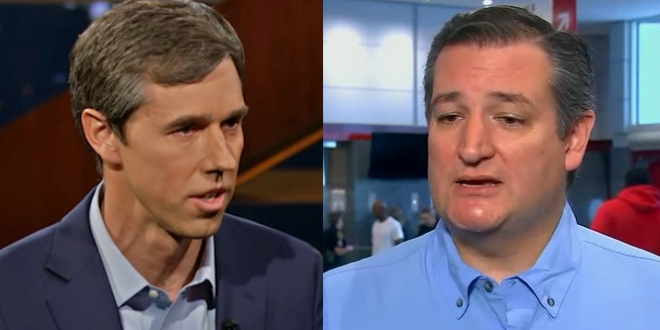 Today, Ipsos released new election data in partnership with Reuters and the University of Virginia Center for Politics, showing that Republican Ted Cruz (49%) holds a slight lead over Democrat Beto O’Rourke (44%) in the Texas Senate race among likely voters. In the generic ballot question, Republicans also lead Democrats by 6 points (49% to 43%, respectively). In the race for Governor, Republican Greg Abbott (53%) holds a 15-point lead over Democrat Lupe Valdez (38%). Likely voters are split down the middle over the way Donald Trump is handling his job as President, with 50% who approve as opposed to 49% who disapprove. Similarly, 52% of likely voters say they are motivated to vote for a candidate who will oppose President Trump, compared to 48% who say they are not.